A passionate person with the power of persuasion is needed to lead a West Midlands business body through a key stage in the region&apos;s growth. 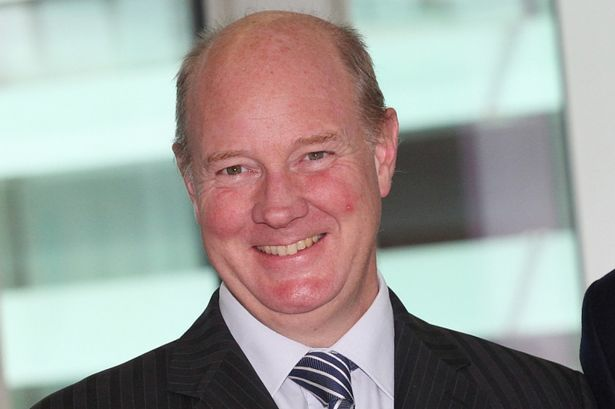 That is the view of Steve Hollis, the former KPMG Midlands chairman who is stepping down in September from his role as chairman of the Greater Birmingham and Solihull Local Enterprise Partnership (LEP). The LEP is a private sector-led body which is tasked with spearheading economic growth and fostering job creation in Birmingham and the wider West Midlands area. Mr Hollis told the Post: "The role will need someone who has extensive experience dealing with complex organisations and various senior stakeholders and exceptional teamwork skills. "They will also need the power of persuasion and a good stock of inter-personal skills. "Anyone who has already made it to a high level in a complex organisation will have them but we&apos;re also looking for someone who has a real passion for this part of the UK. "We won&apos;t be recruiting someone from outside the region. The biggest challenge for the incoming chairman is to try to get rid of the &apos;modest Midlands&apos; scenario. "We are a bit quiet about how good we are. It&apos;s about being part of something and making a difference." He added: "We have the internal candidates but we want to run a very thorough recruitment process." Mr Hollis took over the role last year when incumbent Andy Street announced he was running in the 2017 West Midlands mayoral election which he subsequently won in May. The new chairman, who will initially be in situ for a three-year tenure, will be taking over at a time of great investment and change in the Greater Birmingham area. HSBC is close to starting the move of thousands of staff to its new UK headquarters in Birmingham city centre, Birmingham Airport continues to expand while real progress is likely to be seen on high-speed rail line HS2 and the associated spin-off projects such as UK Central in Solihull. Whoever is appointed will also have to work with their predecessor Mr Street. Looking back on his six years of working with the LEP, Mr Hollis said: "If you consider how things were in 2011, our region was at the bottom of the economic scale, short on employment and growth. "If you look at it now, we are the best performing city region and we have some of the biggest development sites in the UK. "I&apos;m proud that I was able to help bring lots of different people together from the private and public sector and through that achieve things which would not have happened." He said the new chairman should expect to see even greater devolution of powers handed to the West Midlands from London. "The Government has worked out that you cannot run this country from Westminster," he added. "It&apos;s not a &apos;maybe&apos; - we will definitely see more devolution. "The reason the LEP has been successful is because governments have not changed the rules and have consistency. "Any economic body can work if they don&apos;t change the rules and the big difference between us and the old regional development agencies is the mix of public and private sectors."